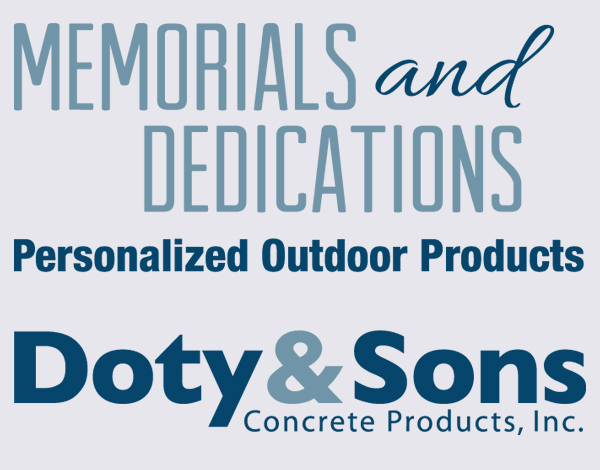 Contact Us Today!Doty & Sons Memorial Products offers a variety of memorial planters that are available in multiple colors and finishes. We also offer custom security options to ensure your memorial planter is not harmed during special events. Cement planters are a perfect place to grow flowers and can add beauty to any space. In addition to cement planters, we also offer plaque bases. Our concrete bases are available in six styles, several custom sizes and a variety of finishes, including exposed aggregate and sandblast. Our memorial planters and plaque pedestals are heavy-duty and resistant to weathering, promising a long life of memories. Contact us today for more information on our memorial products. Please call 800.233.3907 for more information.